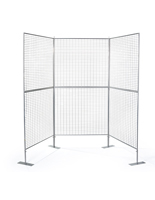 This 9-panel exhibit display system is easy to move, store, transport and set up, making it an ideal choice for use at trade shows, school or gallery exhibitions, craft fairs or other offsite events. 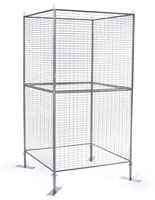 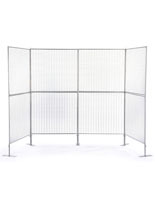 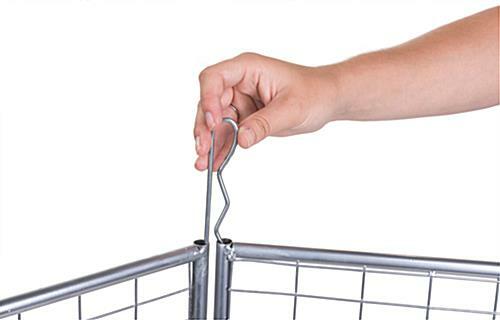 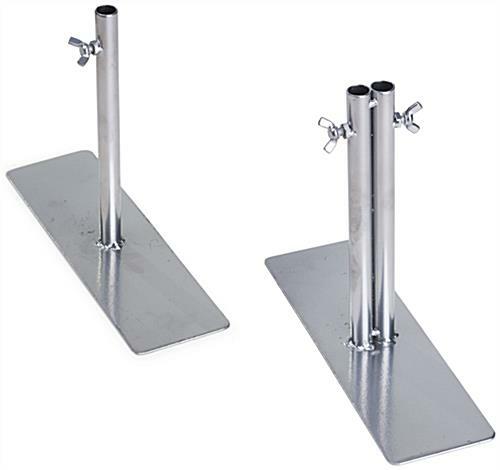 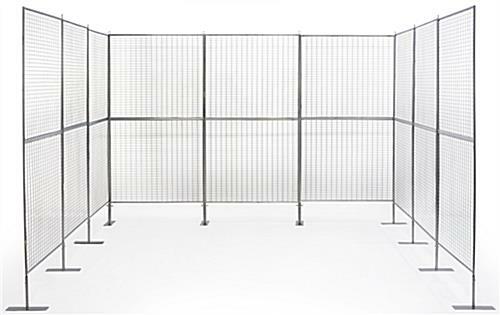 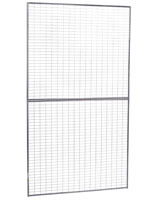 The sturdy iron fixtures feature a unique 2-tier design that allows each 37.5" x 33.25 wire mesh panel to be separated if desired or used together to create a wall or booth-style configuration. 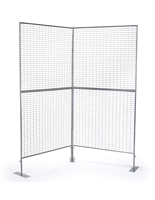 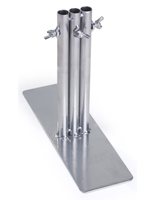 Each gallery-style multi-panel exhibit display system includes (8) dual-post and (2) single-post support bases for maximum stability.. 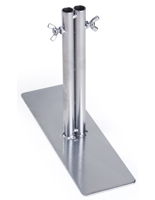 This type of fixture is easy to arrange in different configurations and allows double-sided exhibition of works. 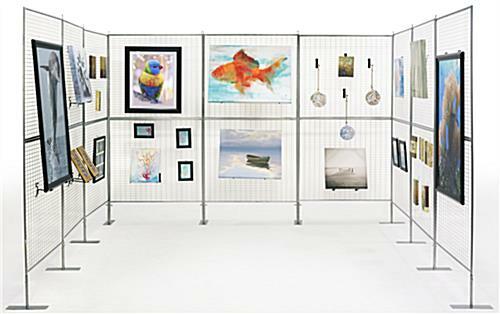 The silver finish gridwall exhibit display system is ideal for showcasing artwork, gallery or sale merchandise, posters or advertising. 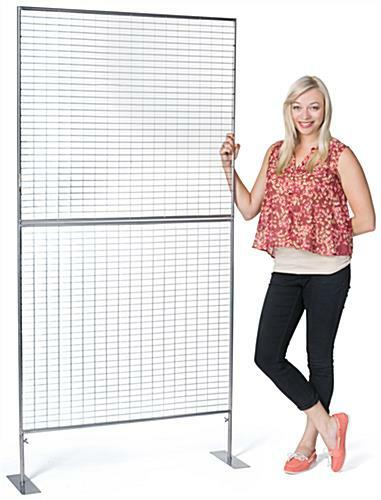 This multi-configuration portable system is an economical alternative to traditional shelving or wall fixtures and will complement any retail environment, showroom, exhibition space or trade show/craft fair booth. 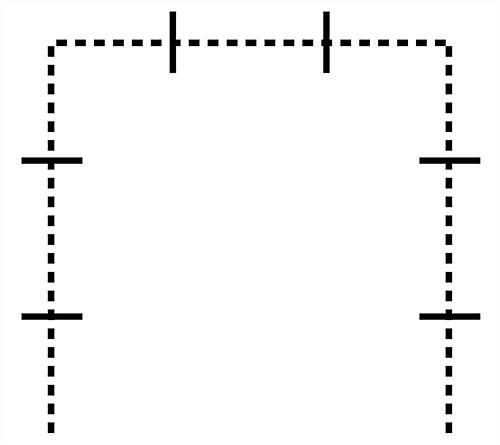 110.0" x 75.0" x 111.5"